We here at Musicology Now would like to salute Michael Ochs, who edited and restored Joseph Rumshinsky's Di goldene kale (The Golden Bride) for publication next year by A-R Editions for the American Musicological Society for its series "Music of the United States of America" (MUSA). 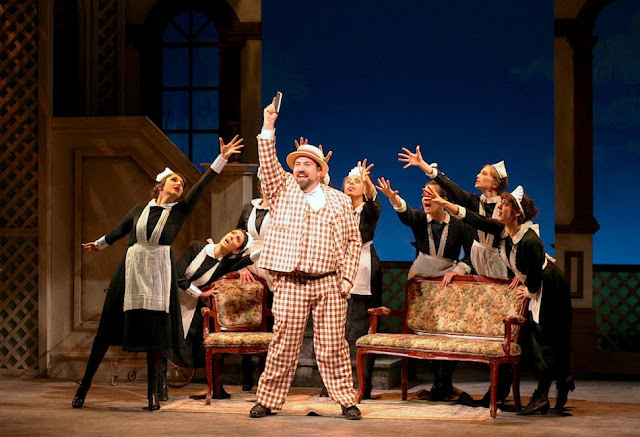 Di goldene kale, a 1923 Yiddish-American operetta that is receiving fully staged performances in New York through January 3, 2016, is garnering rave reviews. The New York Times has selected the production as a "critics' pick", and the New Yorker writes that "the whole show glows with the joy and energy of a great party." An earlier article in the New York Times details some of the preparations for staging the operetta, and a review in the Yiddish Daily Forward gives some additional background on Ochs. For more information, see earlier posts on this blog by Michael Ochs from June 6, 2014, and a followup by D. Kern Holoman from July 30, 2015.